For a few of the people that I needed to buy presents for, for Christmas, I decided to make them a gift wrap box for them. I started off with a white box from Ikea and simply added a label to the front of the box with the words gift wrap stamped on it. I decided to keep the outside of the box simple so that it could fit in with any decor. This is what I added to the box. 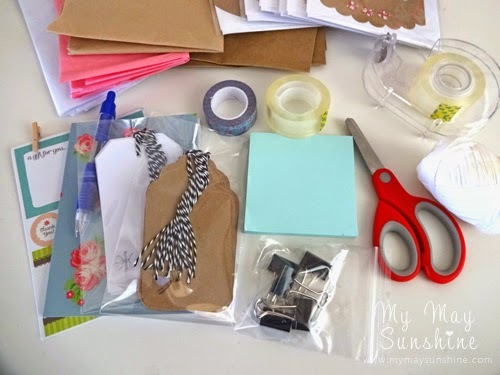 I started by adding a few stationery pieces like scissors, tape, binder clips, a notebook, pen and post it notes. I added some twine, some labels that could be used on presents, envelopes etc and some pretty washi tape. 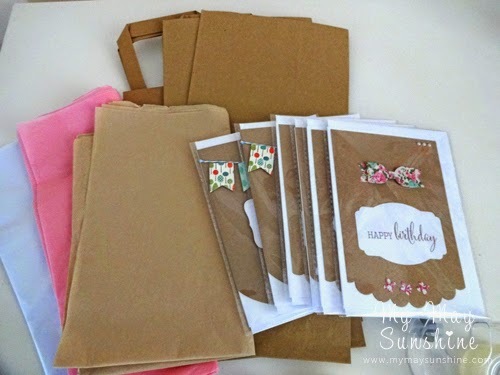 I put in some tissue paper in a few colours and also put in some paper bags that I just added some patterned paper to, to jazz them up a bit. 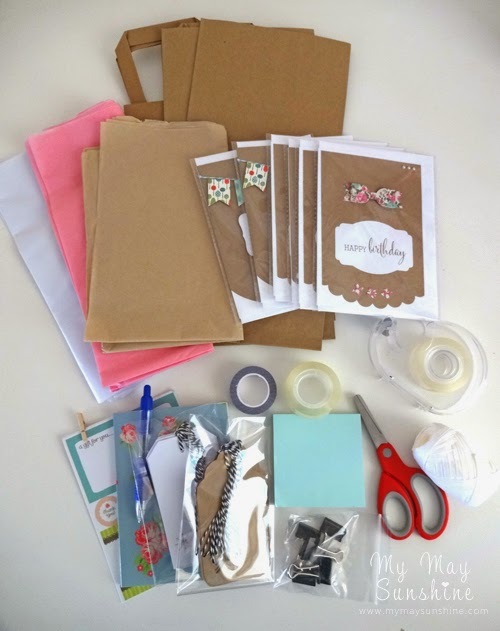 A long with these items, I decided to make some cards and some gift tags too. I made some female that had bows and butterflies on and then some masculine cards with banners on. 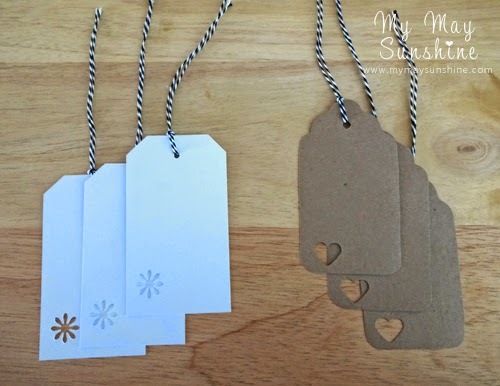 I made some gift tags with a punched heart or flower and added some bakers twine to them. I wanted to add more but didn’t get the time and I thought that they could add things to the box they already have or get in the future and then can keep it altogether. 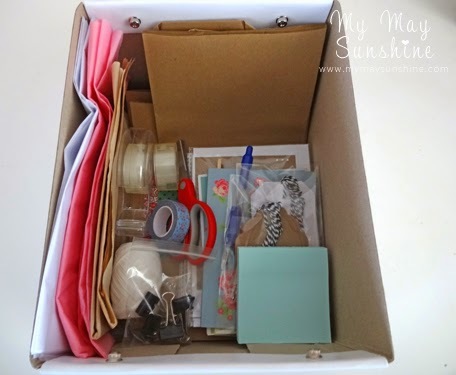 I think that a gift wrap box is a great gift and the people I gave it to loved it. 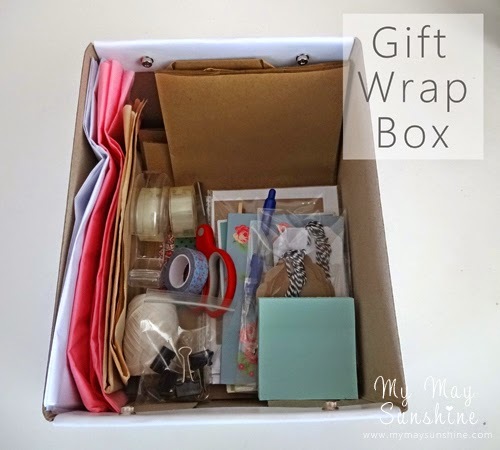 Would you consider making a gift wrap box? Would you like to receive one as a gift? I Would love to know.